The newest Facebook update is not just a tweak to your timeline. Facebook recently introduced Home, a software design for smartphones that basically makes Facebook the core of your phone’s operating system and applications. "With Home, you see your world through people, not apps," Facebook founder and CEO Mark Zuckerberg said at a press conference, according to an article in the Huffington Post. When people turn on their phones, for example, the first thing they will see is Newsfeed updates from Facebook. This “cover feed” will be an updating slideshow of status updates, pictures, and other multimedia that users can like and comment on straight from their phone’s home screen. Home will also include “chat heads,” which will allow you to chat with friends and contacts without leaving an application. The new Home will bring ads “more directly into our personal space and consciousness,” according to the Huffington Post. Just as users will be more immersed in Facebook, Facebook itself will be more immersed in the user’s information, constantly gathering data. Home will give Facebook access to user’s locations and even phone calls. “I think it’s pretty cool in terms of convenience, with the messaging and the connecting of all communication,” said Allegra Thaler, a sophomore at Boston University studying hospitality. “But it definitely has dangers of all sorts,” she said in response to Facebook’s info-gathering abilities. 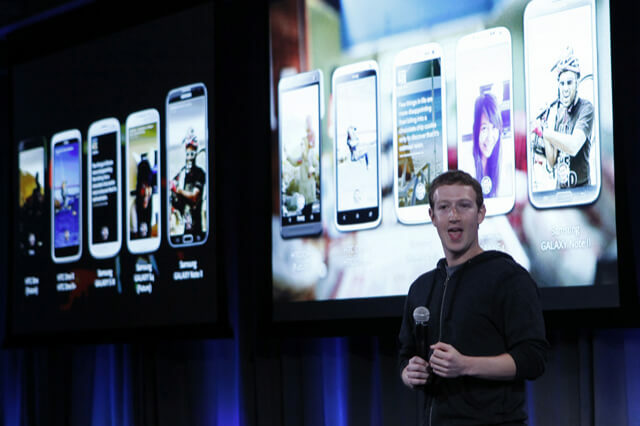 Facebook Home will be available for Android phones by mid-April, and tablet versions of Home are slated to be available within a few months. Watch a demonstration video here.